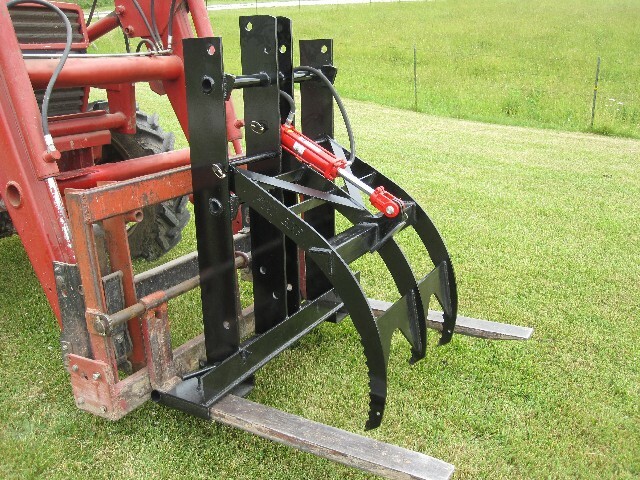 The Adjustable Pallet Fork Add-A-Grapple has all the features of the original 336S27 Pallet Grapple. 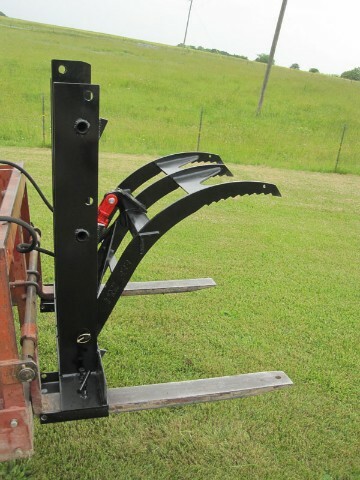 In addition, the Adjustable Pallet Fork Add-A-Grapple has 3 height adjustments. 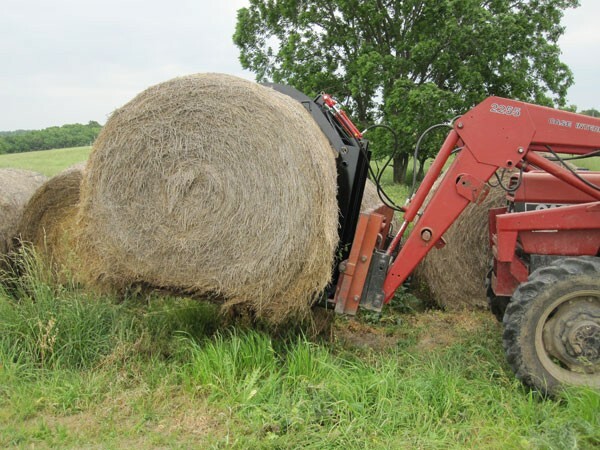 It can secure everything from a single log or pipe up to a 74\" diameter round bale of hay. 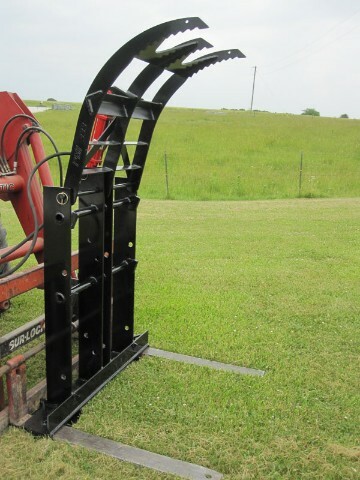 Changing the height adjustment is easy. 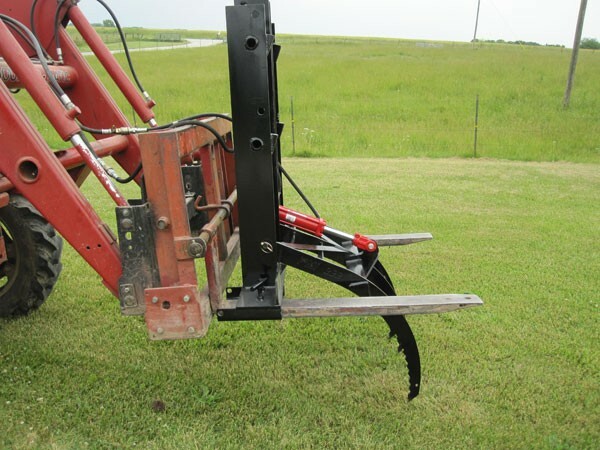 Simply remove the pivot shaft, place the grapple at desired height and slide pivot shaft into position. All in a matter of minutes without any tools.